This year’s edition of Springtime in the Country will welcome 250 artisans from across North America. 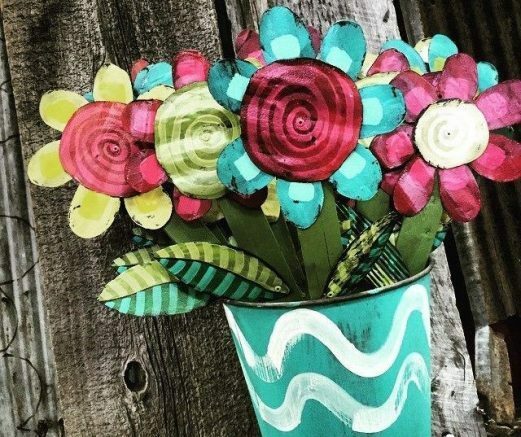 Celebrating 25 years of fine art and artisans, Springtime in the Country will return to the Event Center at the Hamburg Fairgrounds from Friday, March 29 through Sunday, March 31. The event has grown substantially over the past two years, and just as spring promises sunshine and warmer weather, Springtime in the Country promises to be bigger and better than ever with the addition of more than 30 new artisans! This year’s edition of Springtime in the Country welcomes 250 artisans from across North America with products including garden art, metalworks, women’s fashion, original wall art, custom furniture, designer jewelry, home décor, spa-quality bath and beauty products, gourmet foods, children’s toys, pottery and so much more. Indulge yourself with something special, or with Easter and Mother’s Day right around the corner, Springtime in the Country is the perfect destination for seasonal gift buying. Springtime in the Country will be open from 4 to 9 p.m. Friday, March 29; 10 a.m. to 5 p.m. Saturday, March 30; and 10 a.m. to 4 p.m. Sunday, March 31. Admission is $8 for adults and seniors with complimentary return passes available at the event’s information booth. Children under 12 are free with a paid adult. Discount tickets for Springtime in the Country will be available March 14-28; please visit www.wnypremierpromotions.com for information. Parking is free. Be the first to comment on "Springtime in the Country artisan market blooms into 25th year"